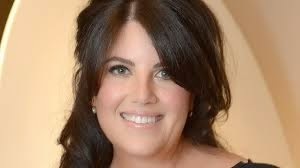 Monica Lewinsky he tried public appearances. She tried being reclusive. She tried leaving the country, and she tried finding a job. But the epic humiliation of 1998, when her affair with Bill Clinton became an all-consuming story, has followed Monica Lewinsky every day. After 10 years of self-imposed reticence, and now hoping to help victims of Internet shaming, she critiques the culture that put a 24-year-old through the wringer and calls out the feminists who joined the chorus.